Try Lazada. Last time I checked marami silang SG pickguards. 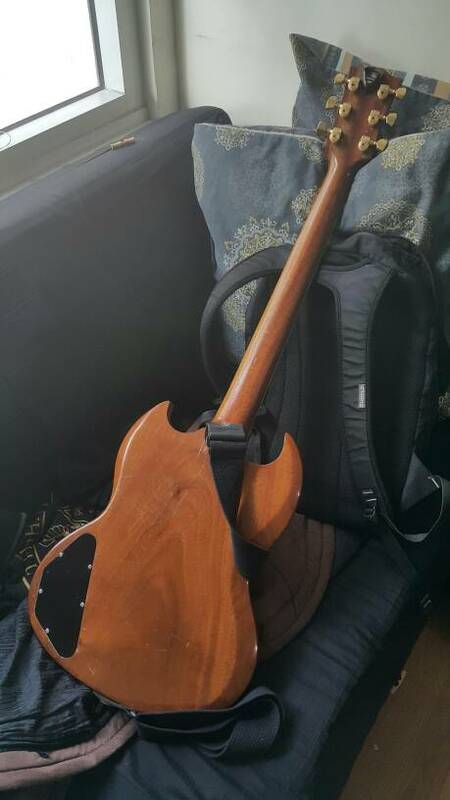 I've always wondered where I could buy an SG hardcase. LP cases just don't work since they're all too thick for SG style bodies. Anyway here's mine. 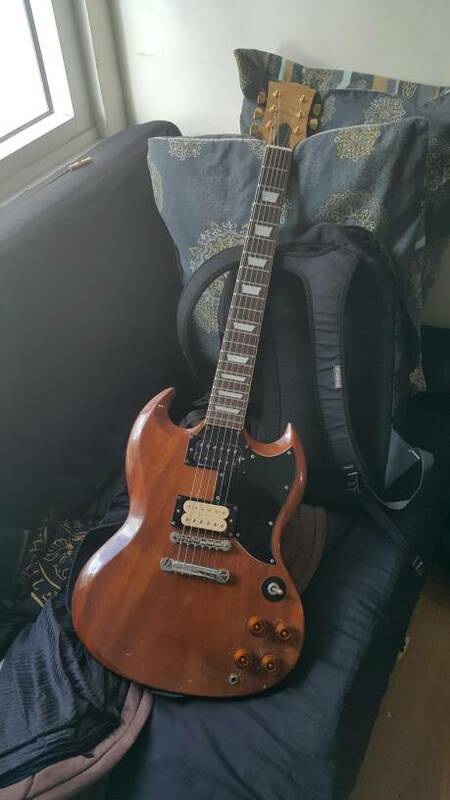 It's some Japanese SG whose brand I can identify, but I suspect it's one of those better brands as evidenced by the fretwork and binding. The way the frets and binding were installed is very similar to how Gibson does it. I've already changed the pickups to Dimarzio 36th Anniversary PAF units and it's finally very close to how I want it to sound. I've also wired it to have the Jimmy Page 21 tone, 4 x push pull pot set up. While useful, I still want to rewire it and replace the tone pots with push pull pots with a linear taper to give it more range; audio taper pots essentially give me only 2 options, i.e. full on and rolled off. Finally, joining the club after gassing for a real SG since college. 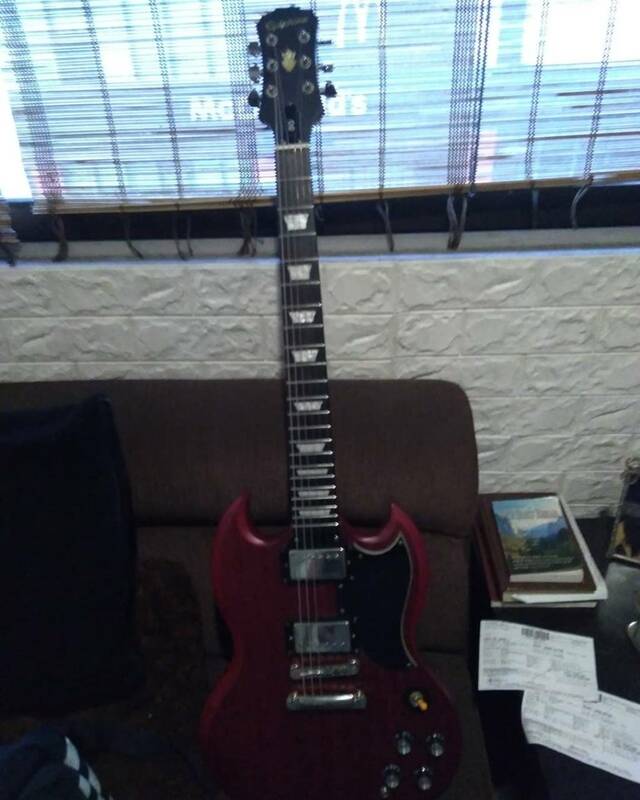 I'm done with my superstrat gas, so I pulled a trigger on an SG. Medyo may "superstrat" appointments pa rin since I got the 2016 High Performance model. It has the all access heel, soloist neck width, titanium nut and saddles, and nice mother of pearl inlays. Time to play some Heaven and Hell! In! Medjo nawala GAS ko sa Superstrats. Paano nio na solusyunan yung neck dive mga sir? Mas ok ba leather strap kesa sa Mono strap? try getting a wider strap to minimize neck dive. If you'll go leather, get one with a "suede" back/underside so it grips better on your shoulders. No guitar spin though. Nagka MONO Betty kami before. It was good and comfortable due to the wide profile and padding. Pero I cannot comment pagdating sa guitars with neck dives or those na hindi naka balance ang center of gravity relative sa placement ng strap button (like an SG) kung may effect ba yung width. Sorry. Accept the fact that SG guitar shapes tend to do a neck dive. Yep, the suggestions were okay but, accepting the truth about the guitar is one thing also. That way, you'll never get disappointed. De joke lang. Ang naging teknik ko jan e adjusting your strap length. In my situation, I came from full length (above knee playing) to under the chest position. Walang neck dive. Which Levy's strap are you eyeing? Great! That's sure to grip on your shoulder. Planning on getting my 2nd SG guitar. Ok ba LTD Viper 256? 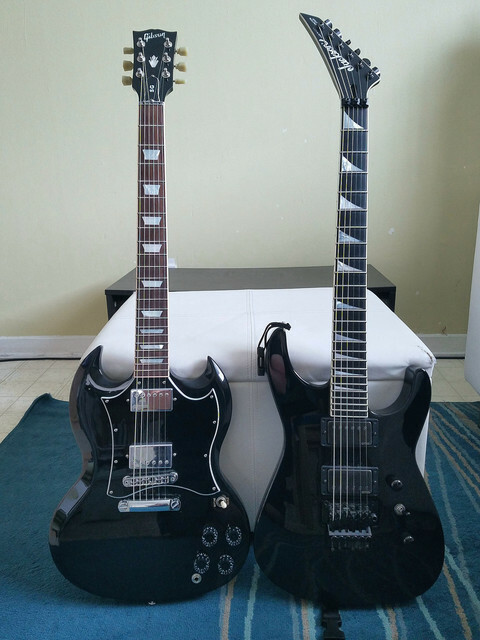 Pinag pipilian ko kasi Epi SG 400 Pro or LTD Viper 256.